Wired to Care | "El Milagro Weblog"
IDEO, the Palo Alto company famous for designing Apple’s first mouse back in the 80’s, has since created user-centered solutions for everything from computer games to ice cream scoopers, defibrillators and shopping carts. As one of the world’s leading innovators in Human-Centered Design, they even create strategies to address such social issues as poverty, nutrition, health, water and sanitation, economic empowerment, access to financial services, and gender equity throughout the world. It should not be surprising that they also have some thoughts about designing our schools from the perspective of the students who attend them every day. Everything from the culture of school environments and education reform initiatives, right down to more user-friendly student desks. And, of course, Aiden also has some ideas about school designs as he develops his journals in Fighting for Ms. Rios. Ultimately, Fighting for Ms. Rios is not just about a kid and his teacher. It’s deeper than that. It’s a case for intentionally designing student-centered schools around a culture of what the corporate world refers to as “deep customer empathy”. Authentic relationships. Mutual respect. Caring. User-centered design! 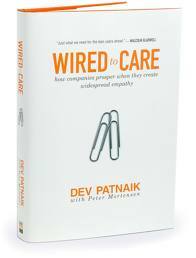 The notion of “empathy” is a central tenet of Dev Patnaik’s book called Wired to Care. Patnaik, a renown business strategist, writes about how organizations of all kinds prosper when they tap into a power each of us already has: empathy, the ability to reach outside of ourselves and connect with other people. He believes that when people inside a company develop a shared sense of what’s going on in the world, they see new opportunities faster than their competitors. They have the courage to take a risk on something new. And they have the gut-level certitude to stick with an idea that doesn’t take off right away. In Patnaik’s view, people are naturally “wired to care” and many of the world’s best organizations are, too. But they must learn to stop worrying about their own problems and see the world through each other’s eyes. During that time Ms. Rios found hope and inspiration in her students. She believed in every last one of us from Trinity to Atticus Hinzo to Rafael to Angela to Charlie Flowers and Remy Padilla and Vera Ruiz and Inca and even Lester…and me. And Raymond. Especially Raymond. In his few short weeks with Ms. Rios, he had taught her more about teaching than any university or workshop or conference or colleague ever could. She knew in her bones that she had given up on Raymond far too soon and she vowed to never let that happen again. She regretted listening to Wanda. She should have been Raymond’s advocate. 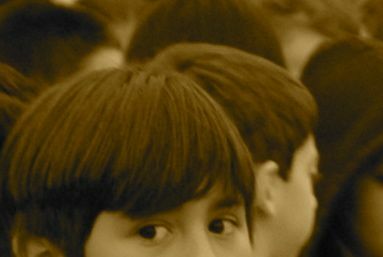 It is possible (and critical) to design and manage schools–including the systems, services, relationships and programs– from the student out… instead of the outside in. But to do so, we truly have to see the world through our students’ eyes. That’s really what “deep customer empathy” is all about– and why, by the end of her first year, we come to regard Ms. Rios as such an extraordinary teacher. And why Aiden becomes the voice of children in schools everywhere.